Originating from Central America, Yuccas would have to be one of the most versatile plants available. 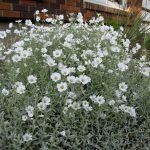 They will successfully grow in full sun, part shade, full shade or indoors. 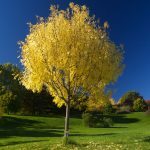 Grown for their bold and handsome shape, they feature tall woody stems ending in a crown of long sword shaped leaves and come in many colours and varieties, from greens to yellow variegated and silver variegated. Yuccas prefer dryer conditions with good drainage, but will still grow in most places; they will tolerate very hot periods without water or near freezing conditions. 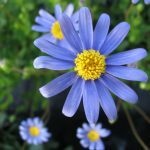 If grown in the full sun, the foliage becomes stiffer and bolder looking, giving it the trendy and fashionable Mediterranean look. 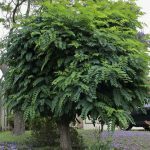 If grown in shade or indoors they will develop a softer and longer leaf. 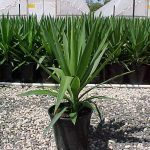 Yuccas can be planted in pots or in the garden, be grown indoors or outdoors and be planted in sun or shade. They look exotic and tropical and have a modern style. Yuccas perform a range of landscape functions. Plant as a centerpiece in a courtyard, as a feature plant in a pot or as a low maintenance stylish screen. Use as a hardy indoor feature either fully indoors, under plastic roofing or in undercover outdoors areas. Yuccas will grow in full sun, part shade, full shade or indoors. 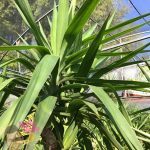 Yuccas are easy to grow if you remember these rules! Fertilise regularly. Use Devotion® Time Release Fertiliser or palletised chicken manure this will keep them green. When growing Yucca in pots, use a specially formulated potting mix. This will ensure that you have good drainage with the right pH level. 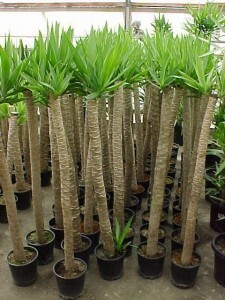 Potted Yuccas should be given a good dose of dolomite lime every 12 month. Trimming and shaping. When Yucca get too tall just cut the top off, and new heads will grow. 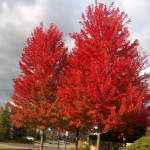 The best time to prune is early October, that way you don’t have to wait too long for new foliage to reshoot. If you have shabby leaves at the bottom of your Yucca, pull them off that way you can expose more of the dramatic trunk. If you Yuccas are getting too wide, cut off the side shoots. When you cut shoots off your Yucca don’t waste them, plant them or give them to a friend. 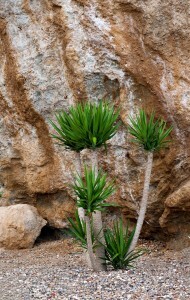 Yucca can be propagated by planting the stems or shoots into Yucca potting mix in a shady spot. Keep moist until struck. When you buy a Yucca it can be confusing as their seems to be all different types people talk about heads, canes and sculptures. These are all the same type of plants cultivated in a different way; each has its own important role. Normally these are branches that have been harvested from large Yuccas in Central America that have been shipped back to Australia. They are planted in pots in quarantine houses, and are sold with a cluster of small green shoots at the top. Canes are often planted as pot plants as the cane looks dramatic. Tall canes look best in low or squat style pots, and tall style pots look best with short canes planted in them. Yucca canes can be planted as a feature or screen in the garden but they will tend to stay bare at the bottom. They will grow wide at the top because of the multiple heads. The canes do not grow as quickly as the head. 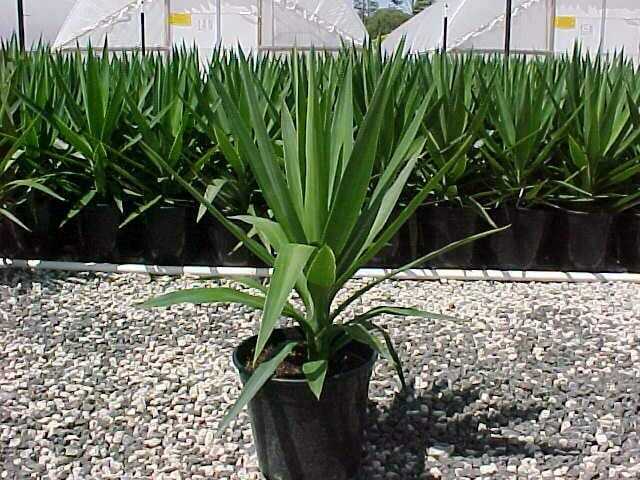 These are the most economical and fastest growing Yucca. They tend to shoot straight up as a single stem for several meters. 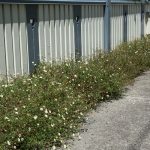 If watered and fertilised properly, expect more than 1 meter of growth per year. 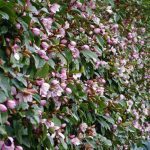 This makes the head ideal to plant as a dramatic modern hedge or screen. These start life in Central America when farmers plant a Yucca head in the field and spend several years cutting the Yucca to create a dramatic sculpture of trunk and branches. These sculptures are them imported to Australia as bare pruned plants, and whilst in quarantine they grow new heads. Yucca sculptures are truly a living work of art and can be used as pot plants indoors or outdoors and planted as exciting centrepieces. 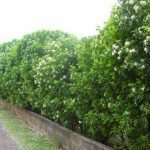 Due to the time and expertise needed to grow them, they are often individually priced for their size and complexity. A mature Yucca sends flowers rocketing into the sky. 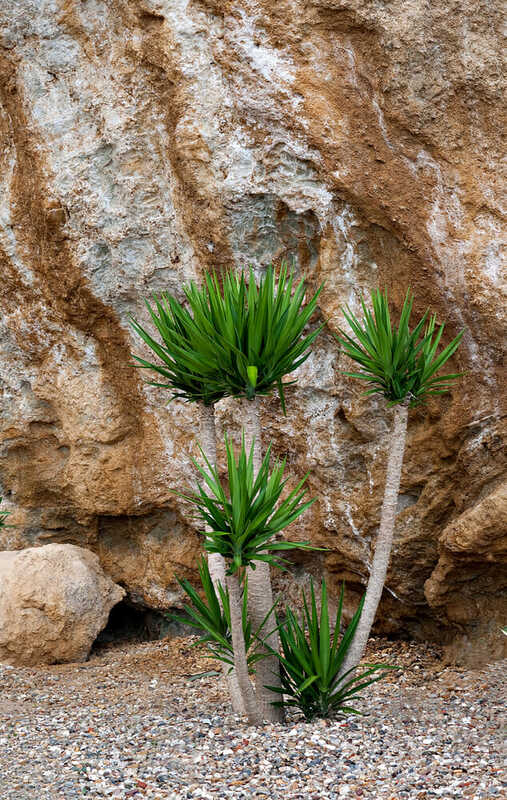 Yuccas are particularly drought resistant and can be left for months without water; they also will grow well in coastal conditions and seaside gardens. Yuccas can be grown in the garden but also like to be grown in pots. They are perfect for balconies and terraces and will fend for themselves if you are away on holidays. 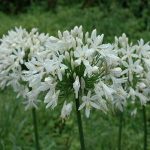 On mature plants they develop striking small white bell flowers from October to December. 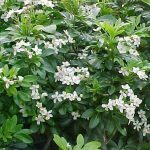 The flowers are known to be used in many culinary recipes and are also known to possess many medicinal properties.